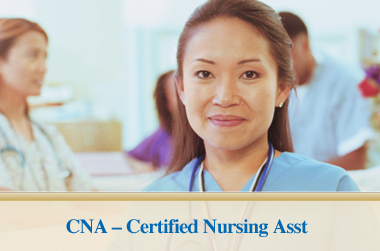 WCTC is offering a C.N.A. class spring semester. If you are interested and have not already received information, see Mrs. KJ in room 125. A mandatory first meeting is TOMORROW at WCTC. Attention Juniors! The votes have been counted - Your Prom Theme this year will be "James Bond!" Attention Junior Boys! The Junior Class will be sponsoring a male talent competition - Mr. Menomonee Falls - this January. Contestants will be asked to participate in a sports wear competition, physical fitness challenge, talent competition, and a question and answer session. The top 3 finalists will win cash prizes & two free tickets to prom! Junior boys who are interested in signing up, should see Ms. Smith in the athletic office. For additional information, see Mrs. Anderson or any Jr. class officer. Need that special holiday gift yet? You're in luck! Your MFHS PTSA is holding a special Spirit Wear Holiday Sales Event this Thursday from 6:30 - 8:00 pm. The event will take place in the HS Cafeteria that evening. Come and browse through our newly stocked merchandise. Please note that the PTSA accepts cash or checks only for payments. Attention Seniors! Monday, December 17th is the last day to submit college applications to Student Services and request transcripts through Naviance prior to Winter Break. If you have an application deadline of Jan. 1st, your requests must be made by Monday, December 17th. Please see your school counselor if you have any questions. Key Club and Amnesty International will be selling YUDA Bands in all lunches today through the 14th. YUDA Bands are handmade bracelets from Guatemala that help support education for students in third world countries. Each band costs $7 and they come in various designs, the money will go towards setting up scholarship funds for three different students to go to school, who normally would not be able to. These bands would also make great holiday gifts! Stop by the table at lunch to buy your band and see pictures and bios of the three students we are sponsoring! Wear a band, change a life! Attention FACT members! Mrs. Laserstein will stay after school Wednesday, Thursday and Friday of this week. Stop by room 143 or lab 141 to update your FACT account with our new photographs and work on your assigned activities. If you are not a member and would like to join, you are welcome to stop by as well! Oh ya, snacks and beverages will be served each day! Just a reminder; that the National Honor Society Food Drive ends on Friday. It is being run in all first hour classes. The idea is to try to collect 100 or more of these items per department – more is definitely better – the shelves are EMPTY! Student Council Volunteer Opportunities for this week are as follows. All volunteer hours will count towards NHS hours!!! WHEN: Thursday, December 6 from 5:30-10:00 PM. WHAT: Annual ARCH Holiday Dinner/Dance. This is a holiday party for individuals with disabilities. We will be socializing, dancing, and helping to serve dinner to those attending. Transportation will be provided. The bus needs to leave by 4:15. So please be at school on time. We will be volunteering with the optimist club to provide childcare for kids in the area while their parents shop for holiday gifts. We will be helping kids with holiday crafts, playing games, and helping with a Packer themed obstacle course. You can even request which area you would like to be in! High School Rec Basketball Team Contracts are due to the CE&Rec Office by Wednesday, December 12th. Teams must submit a contract and full team fee in order to be accepted. All spots are now first come/first served until the league is full. Paperwork is available at www.fallsrec.org or by stopping into the CE&Rec Office.